Coffeewood Correctional Center is a medium custody correctional institution that opened in 1994. As a level 2 facility, inmates at Coffeewood Correctional Center can have no escape attempts within the past five years and must not have any behavioral issues for at least two years. Additionally, inmates who have life sentences must be currently eligible for parole. Coffeewood Correctional Center houses approximately 1,164 adult male inmates. 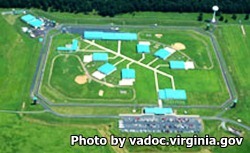 In addition to housing long term commitments, Coffeewood Correctional Center serves as an intake and classification facility, processing new commitments into the Virginia Department of Corrections from surrounding jails. During the intake process, a full criminal history of the inmate is taken, and the offender is assessed mentally and physically. Using these assessments, the inmate is given a security classification and assigned a facility that can best suit their rehabilitation needs. Visitation at Coffeewood Correctional Center is conducted on Saturdays and Sundays using a rotating schedule. Contact the facility for more information and the current rotation/visiting hours.